Posted byadmin	 19. December 2017 Leave a comment on 3 Reasons Why Your Biceps Won’t Grow ! 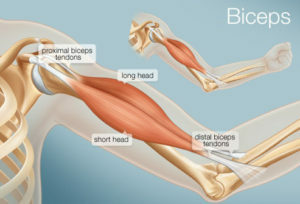 Have you done almost everything to get a bigger biceps but are disappointed with the results? 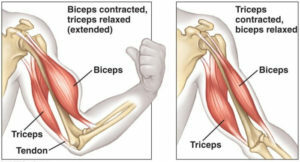 If this is your case then I highly recommend you to take a look at the 3 most common mistakes people makes while they are trying to build their bicep muscles. 1) Not giving importance to the basic compound lifts. Many people skip or do not do heavy compound lifts at all. Compound exercise like dead lifts are the best mass builders, even for the biceps. Without compound lifts it is not possible to gain much muscle size. So your training should be a mix of both compound and isolation exercises to get the maximum benefits. 2) Doing too much sets or too frequently. This is another common mistake many people makes. They either do too many working sets or train biceps too frequently or more than twice a week. When it comes to biceps workouts, people have the tendency to do too much. Some will train more than what they train for legs or back. So it is very important to avoid over training at any cost. There is no need to train biceps too frequently and with too many sets as they will get the major hit when you train your back and doing dead lifts. Even how good your workout routine or diet plan is, if you skip the progressive overload principle, then your results will suffer. This happens if you are lifting the same weights for the same number of reps week after week.